Good nutrition can have a strong positive influence on your moods and a generally healthy diet provides you with nutrients that make depression less likely. Inadequate nutrition has been connected with depression and even normally happy people can be affected by deficiencies in niacin and folate. Low levels of certain vitamins and minerals are associated with depression and anxiety. If you want to try a quick fix grab a banana. Bananas are the good mood superfood, containing tryptophan and magnesium for a mood boost coupled with high carbohydrates for energy. One reason for mood swings can be blood sugar imbalances in your diet. Eating sugary foods for an energy or mood boost won't last long and can leave you feeling low, tired and grumpy and needing to start the cycle all over again. Eating wholefoods that give you a gradual release of energy, such as bananas, oats and nuts can keep you going without filling you up with calories, fat and sugar. The brain chemical seratonin is a natural tranquiliser. It can help you sleep, aid in alleviating anxiety and depression and reduce your sensitivity to pain and migraines. Complex carbohydrates help boost your brain's seratonin level making you feel calmer and less stressed whilst still alert. Choose low GI carbs such as rye bread or basmati rice so the carbs are released slowly. Tryptophan works with B6, niacin and magnesium to synthesise seratonin. Believe it or not, the humble mung bean can become a heroic mood balancer. Mung beans are a good mood food containing high levels of tryptophan, which triggers the release of seratonin. Tryptophan foods include cottage cheese, milk, fish, turkey, bananas, dried dates and peanuts. Phenylalanine and tyrosine promote alertness and vitality. They help increase the rate at which brain neurons produce dopamine and norepinephrine, both antidepressants. Sources include tofu, dairy products, bananas, avocados, lima beans, pumpkin seeds, sesame seeds and almonds. Vitamin C is required to metabolise phenylalanine and tyrosine effectively. Omega-3 is associated with a lower risk of depression. Oily fish such as salmon are rich in omega-3 essential fatty acids. Mackeral, sardines, pilchards, trout and fresh tuna also contain omega-3. Selenium is involved in the reactions which release energy from cells. If you're feeling fatigued you may be low in selenium. Brazil nuts are rich in selenium and also wholegrains (if grown in selenium rich soil). Adequate supply of vitamin E increases the effectiveness of selenium. Magnesium is an anti-stress mineral, necessary for proper nerve and muscle functioning. It's also essential to the body's processes of releasing and storing energy. Magnesium is contained in the chlorophyll of dark green vegetables like spinach. 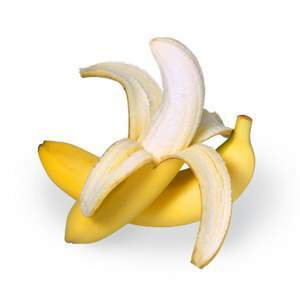 Magnesium is also contained in bananas, nuts, seeds, almonds and figs. Folic acid deficiencies have been found to contribute to mental illness. Find folate in kidney beans, wholemeal bread, broccoli, brussel sprouts, dark green cabbage, chicory, peanuts, peas, egg yolks and green leafy vegetables. Asparagus is high in B vitamins and folate. Niacin is vital to healthy functioning of the brain and nervous system. Avocados are good sources, as are dates, figs, prunes, eggs, wheatgerm, brewer's yeast, wholegrains, fish and lean meat. Cheering up takes more than good mood food, don't forget the importance of exercise. Exercising prompts the release of endorphins, a feel good hormone, into our system.